I absolutely love our old logo and it has served us well for nearly a decade. 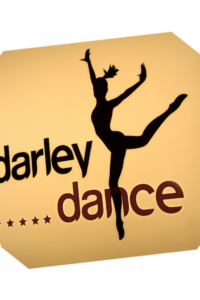 I can remember the first time I ever saw the Darley Dance logo in print and I genuinely adored it. I had spent 8 years with Woodlands Dance without a logo and although we had some lovely navy blue sports tops that had Woodlands Dance on the back but we never had a proper logo. When I knew I would be opening my own studio I immediately knew that I needed a logo. I did some research and found a great design agency called The Other Design Agency, the owner was fun and enthusiastic and I was excited to get started. I knew I wanted stars, I knew I wanted a silhouette and I knew my name was going to be Darley Dance. I didn’t know that just about every dance studio at the time was having the same idea with regard to silhouettes so I gave my ideas to the designer and waited patiently. The designs started coming back and quite quickly I liked the stars and letters but I didn’t like the silhouette. I was offered a few different alternatives but just couldn’t find a dancer I liked. Eventually I sent over a load of my own photos of our dancers and asked them to use one. The end result was a bit of a mixture of different dancers; a pony tail from one girl, a leg from another etc. I loved it. It was totally unique and felt personal to my new brand. I then put my logo on everything, flyers, pens, magnets, bags, hoodies, even guitar picks… I wanted to get my brand out there and I was so proud of my new logo. 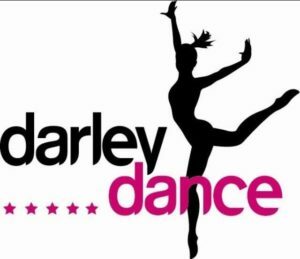 It then became very fashionable to use silhouettes for dance schools and as the years went by my business began to change from a school with an events team to an events company but we kept the logo. Looking back there was probably a chance to change my logo when we let go of the rest of our classes and become a fully professional dance company and I’m not 100% sure why I didn’t. Maybe it was because I loved my logo, maybe it was because I knew I had worked so hard to put it everywhere or maybe it was because I’m not all that great with change but for whatever reason the logo stayed. It’s now time for change. I get so many people who contact us assuming that we’re a dance school and asking about classes and I’m tired of saying the line, “No we’re not a dance school, we’re a professional dance company that provides dancers and cheerleaders for events.” I know that the logo is not completely to blame for people assuming we’re a dance school but I think that changing the logo will help. 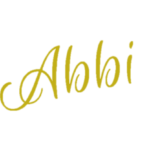 It’s a big change for us and I’m a little sad to let my lovely pink and black logo go…. I really do need to work on this not liking change thing…but the time is right to let go of the last of our dance school roots. Thank you to my lovely logo for a wonderful decade and here’s to the next chapter.